Bulgaria's coach Petar Lesov was barred from the ringside after his ward Stanimira Petrova accused judges of "corruption." 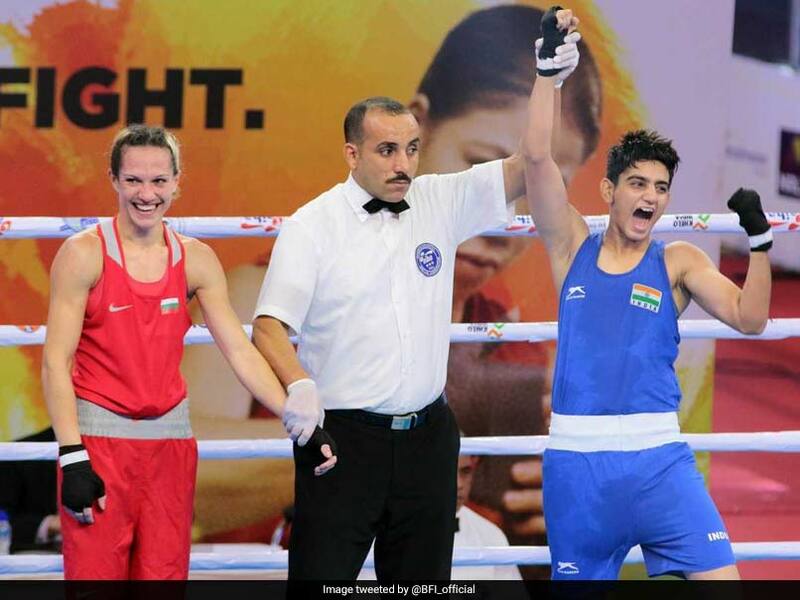 India's Sonia reached the quarterfinals by beating former world champion Stanimira Petrova in the 57 kg category of the ongoing AIBA Women's Boxing World Championships on Monday. But the fifth day also saw a controversial moment, where Bulgaria's Olympic champion boxing coach Petar Lesov was barred from the ringside after his ward Petrova accused judges of corruption after a hard-fought pre-quarterfinal loss to Sonia. The judging controversy hit the marquee event after former gold-medallist Petrova pointed a finger at the officials and her coach threw a bottle inside the ring after the bout to protest the result. The 27-year-old Bulgarian, who was a bantamweight (54kg) gold-medallist from the 2014 edition of the event, went down in a split 2-3 verdict to the 21-year-old local hope Sonia. "It is corruption by the judges. 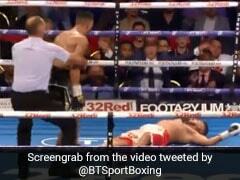 It is not a fair result," Petrova told reporters after the bout. The International Boxing Association (AIBA), after a review of the incident by its technical delegate, barred Lesov from ringside for the remainder of the tournament, which concludes on November 24. "The AIBA has decided to remove the accreditation, and therefore the right to be in the corner, from the coach of the Bulgarian delegation Petar Yosifov Lesov due to his unacceptable behavior...," the world body said in a statement. Lesov won the flyweight gold medal in the 1980 Olympics and has been a coach for nearly three decades. "The International Boxing Association does not tolerate, in any circumstances, such behavior against the AIBA values and AIBA Code of Conduct, especially being a coach. The incident will be forwarded to the Disciplinary Commission for further review," it added. Judging at boxing events has been a major concern for AIBA, which has even been warned by the International Olympic Committee on the issue. In fact, the IOC has made improving the quality of judging one of the goals for AIBA to retain boxing's Olympic status heading into the 2020 Tokyo Games. At the 2016 Olympics in Rio de Janeiro, Irish star Michael Conlan's expletive-laden takedown of the judging standards after a controversial semi-final loss became a catalyst for the then AIBA administration to launch an inquiry and admit lapses.